Anne began arranging flowers while living in Hawaii where she earned Gardener Of The Year trophies two consecutive years in the Hickham Garden Club. 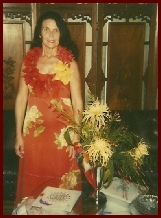 She was Secretary of the Hawaii Federation of Garden Clubs. Anne was proud to have been chosen to be on the floral committee for Washington Place, the Governor’s Mansion in downtown Honolulu, Hawaii. Mrs. Jean Ariyoshi was a lovely first lady and so appreciative of the floral arrangements of the island’s beautiful flowers. 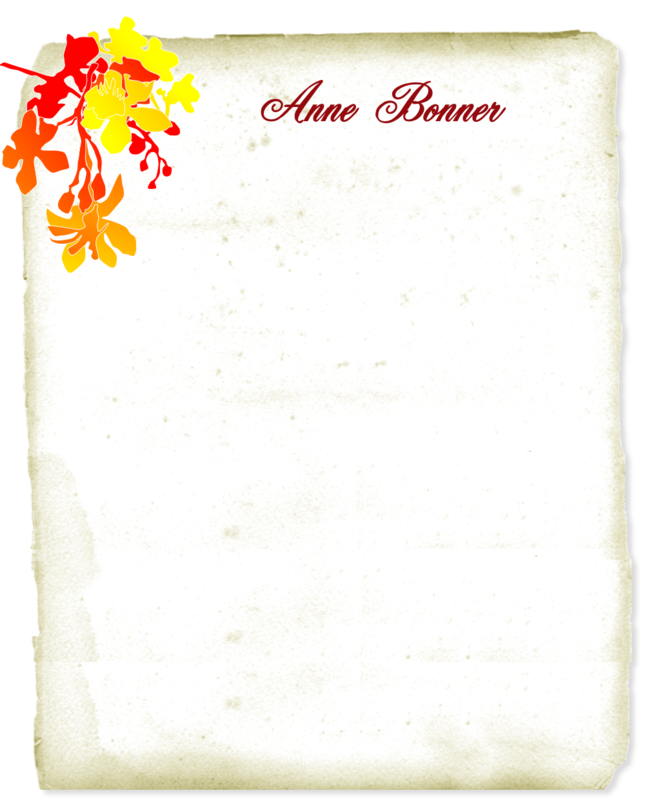 Anne is a Life Member of the Florida Federation of Garden Clubs, Inc. 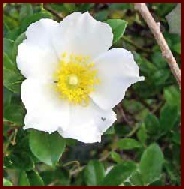 The Cherokee Rose is Anne’s favorite rose. It was introduced to the southeastern United States in about 1780, where it soon became naturalized, and where it gained its English name. The flower is forever linked to the Trail of Tears when five Native American tribes, Cherokee, Chickasaw, Choctaw, Muscogee-Creek, and Seminole were relocated from their homes in the southeast to present day Oklahoma. The flower’s petals represent the women's tears shed during that period of great hardship and grief throughout the historical trek. The flower has a gold center, symbolizing the gold taken from the Cherokee tribe. 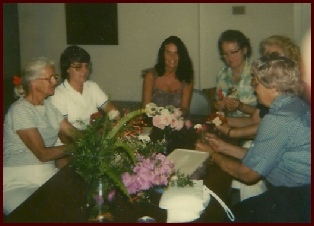 As a member of Straw Hat Garden Circle of the Cocoa-Rockledge Garden Club, Anne (above center) conducted a workshop for the ladies of the club, followed by an outdoor pool/garden luncheon at her home in Satellite Beach. Besides growing and arranging flowers, the garden club is a nature club, with emphasis on preserving wetlands, the birds (even bats) and manatees. 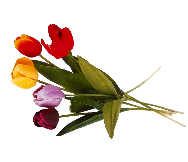 Gardenias, magnolias, hibiscus, azaleas, and roses are the most popular flowers. The magnolia (left) is an ancient species named after French botanist Pierre Magnol. These flowers evolved before bees appeared and encouraged pollination by beetles. 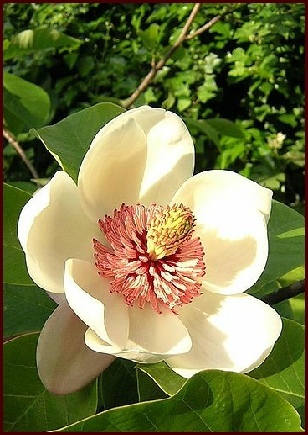 As a result, the carpels of Magnolia flowers are tough, to avoid damage from eating and crawling beetles.